From the very first moments in mother's bosom cradling accompanies to the baby. It is natural and calming. Not everyone knows, that due to the stimuli provided by swinging baby develops faster – learns own body and discovers psycho and motor relations between changing body position and changing surrounding. In that way little human learns to associate different sensual experiences in whole, while his/her labyrinth is stimulated by swinging at the same time. 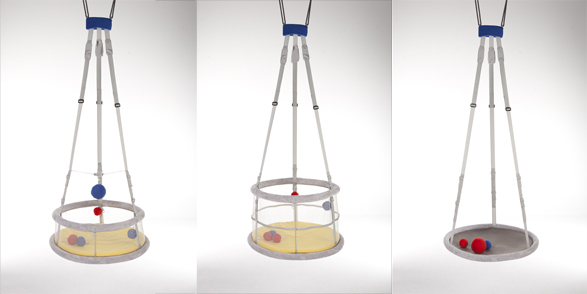 The gentle, diverse and calming motion of hanging cradle is most similar to natural moves of the baby in mother's bosom. Cradled baby is more peaceful and develops faster, and in further future is fit, practical and thinks quicker. 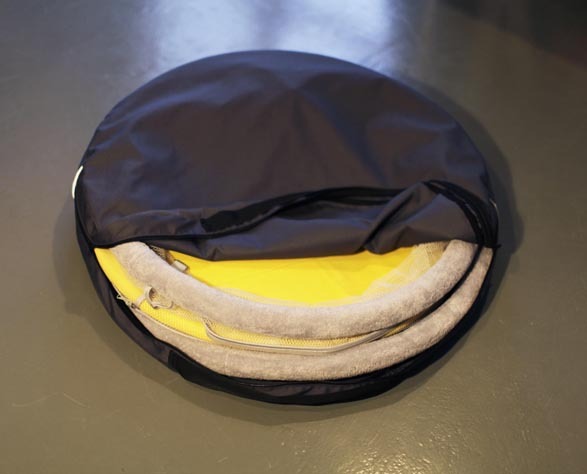 Basing on this information designer, Agnieszka Wiczuk created Multisensory cradle which main purpose is to provide a child various stimuli for development and to extend the period of pleasant cradle till the age of five. It is the answer to children's needs and likes. 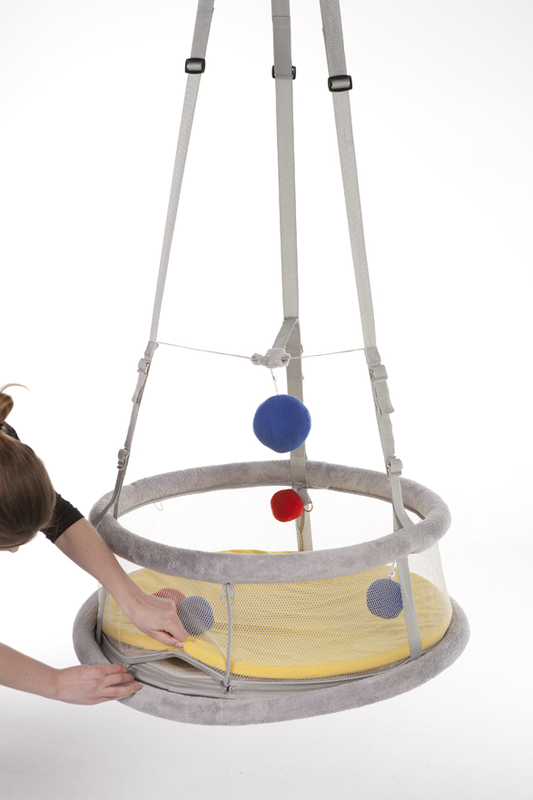 The idea for Multisensory cradle is a result of the designer's observations of traditional ways of lulling and the information received from the m. d. neurologist. “I have composed traditional method with the expert knowledge and created a cradle that would support child's development and grow together with its user” says Agnieszka. 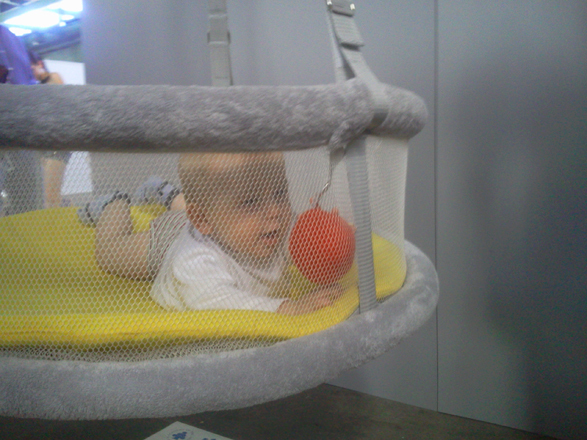 The cradle can be used from the first months till the age of five. Thanks to the transparency of the border, baby can observe the surroundings and keep an eye contact with mum. 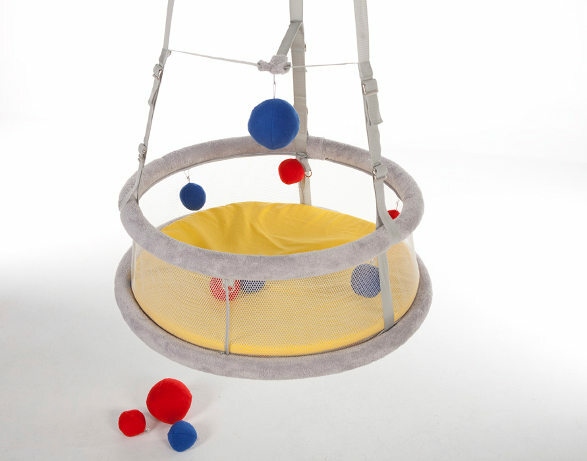 It is equipped with educational play mat and can be attached with various toys. After a simple transformation it can be used as a swing for children who can sIt and after another change for toddlers. In the upcoming future the designer intends to design a stand which would enhance the mobility of the cradle. Photo credits to Agnieszka Wiczok and Magic Light Sp. z o.o. Great Timoore “First” furniture collection for newborn, babies and their parents Is it a bike? Is it a stroller? It is super Taga!